The jacket of this new hardcover edition matches the beautiful artwork of the paperback edition. It also includes the Destroy Me novella, which is told from Warner's point of view, and a brand-new author's note. Perfect for fans who have followed the series from the beginning and craved a matching set of books, and for new readers looking to check out the series. The moon understands what it means to be h u m a n. Uncertain. Alone. Cratered by i m p e r f e c t i o n s.
After a lifetime without freedom, she's finally discovering a strength to fight back for the very first time--and to find a future with the one boy she thought she'd lost forever. 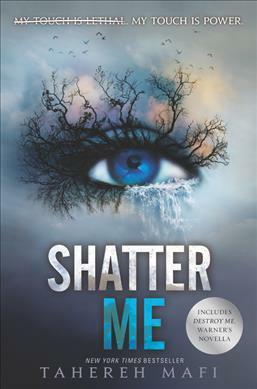 In the electrifying first book in the Shatter Me series, Tahereh Mafi presents a riveting dystopian world, a thrilling superhero story, and an unforgettable heroine.